Here you are, trying to get in your five to 10 fruits and vegetables a day, drink more water and cut down on those Peak Freans cookies with vanilla yogurt cream filling. Tasty! A balanced diet with proper nutrition – and less bad fats and sugar – is a surefire way to good health and preventing all that ails. I’m certainly an advocate for responsible eating. Heap your plate with leafy green vegetables and the colors of the rainbow to get a good array of vitamins and minerals. Eat more plant proteins, like beans and tofu, and less red meat with its saturated fats; try incorporating fatty fish into your meal plan two times a week for your heart, and move away from food in a box. Whole, unprocessed foods have more nutrients intact for your body to take in, and less of the not-so-helpful food additives, such as preservatives, extra sodium and artificial colors and flavors. I certainly advise my patients to follow these strategies for the good of their health. However, while proper, balanced nutrition has long been touted as the best way to stay healthy, new research has outlined a surprising new theory that goes against the grain. In fact, it tips conventional nutritional thought on its ear. 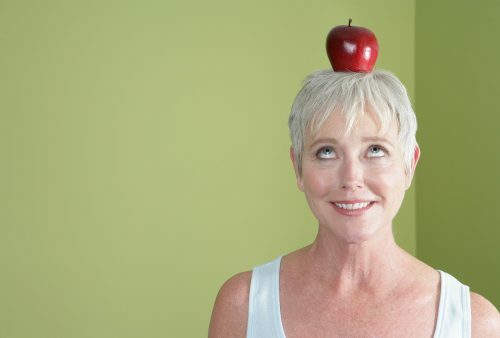 The key to anti-aging could be restricting your diet and consuming fewer nutrients. Eating less, far less. Forget the obvious – cutting out junk food like the chips and soda, and empty carbohydrates like white bread and cakes. We’re talking about eating less of the good stuff from the healthy food groups, so less fruits and vegetables, healthy grains and lean proteins. Less, according to science, really is more. This recommendation comes from researchers at the University of New South Wales recently published in BioEssays. They found that consuming a diet lower in nutrients (and calories!) may help you to live longer by reducing the risk of age-related diseases. Eat less to fight disease. While conventional wisdom dictated you keep yourself robust and well-fed with disease-fighting nutrients from your food, this research recommends less food for better vitality. The New South Wales researchers suggest that animals evolved to survive when there was a lack of food in the wild so they were prepared for famine. A restricted diet increases rates of cellular repair within the body. Cells are replenishing and rejuvenating much faster – those fresh new cells make us stronger and more able to ward off cell invaders that lead to disease. Because of restricted nutrients in the diet, the existing, stored nutrients in the cells are recycled and reused, so animals require less food for survival. Animals could continue to reproduce even in times of food scarcity. The researchers say this cell turnover is the reason that lab animals on a restricted diet have an increased lifespan, and a decreased risk of cancer and other age-related illnesses. The study authors say the increased lifespan from a restricted diet in a laboratory setting, however, may not be the case in the wild. Fewer nutrients compromise the immune system, making wild animals more susceptible to cold temperatures and live pathogens that can lead to disease. In addition, a restricted diet reduces an animal’s muscle strength which makes fleeing from a predator much more difficult. This news could cause a stir; the theory is a departure from “don’t leave the table until your plate is clean.” Restricted diets may help humans to live longer, with cellular recycling promoting a longer lifespan. This could lead to the development of drugs that mimic cellular recycling. And certainly more research could determine how restricted diets in humans could help outweigh the benefits against the risk. An extremely low-calorie diet can be detrimental to your health, causing nausea, fatigue and weakness. If you’re not eating enough, you’ll tax your immune system. The body’s immune system is secondary only to your heart function; when you’re not eating enough, your immune system is compromised, putting you at risk for infection and disease. But don’t think starvation is the ticket to good health. Before you even consider cutting back on your food (and those post-meal naps from overeating), note that I’m not advocating starving yourself or following a crazy liquid diet. Your body needs food for fuel! Women over 50 need about 1,650 calories per day if they’re mostly sedentary. More active women require about 1,850 calories per day. For men, a sedentary lifestyle requires 2,150 calories each day; a more active man needs 2,350. Don’t go below these daily requirements because your body needs energy to function. For the record, I’d like to see everyone boost their activity and get off the couch for their health, so please follow through. Three squares a day and healthy snacks will put you at these calorie counts easily, so the next step I’d recommend is quality over quantity. And this is the take-away message from the research. We can use restricted calories – quality calories – to work for us. We do know that low-calorie, high nutrient foods, such as fresh fruits, vegetables, beans and other plant proteins are great for our health. Make small changes to your diet and see how you feel; your pants just might fit a little looser and you could feel more energetic and mentally sharp. Eat less heavy, fatty foods and focus your minimized calories on these nutritional gems. And take a good look at your portions and the speed at which you eat your meals and snacks. Turn off the TV or computer, sit down at the table, when you can, with a proper place setting, and really enjoy your food, tasting each bite and putting down your fork to pause every now and then to chat with your dining companion (or your cat). It takes your body a good 15 minutes to recognize that it’s full (so you might overeat without knowing it) and send your brain the signal to put down your cutlery and pack your leftovers. Eat mindfully, take pleasure in your food and reap the benefits.